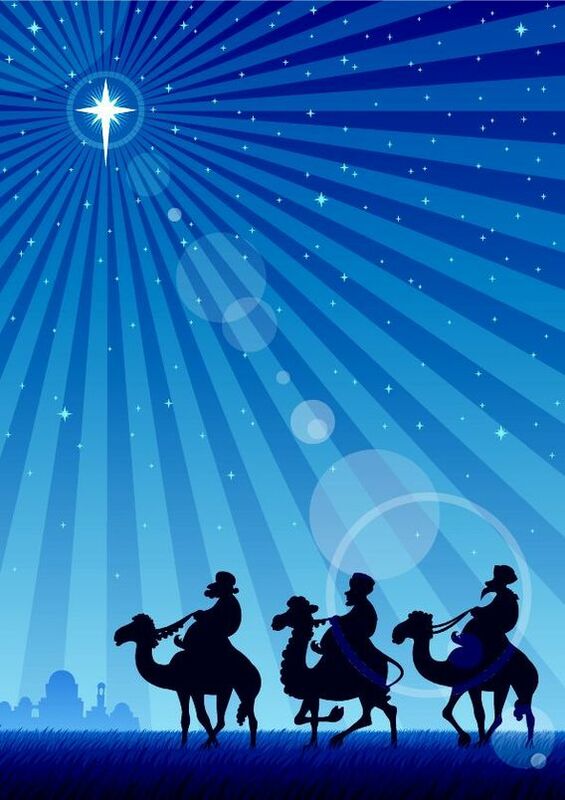 I recall a few years ago when the American Atheists spent money on a billboard with the tagline “You Know It’s a Myth” with the picture of the wise men traveling to visit the infant Jesus. I found this very odd on a number levels. I believe the point they were trying to make is that if the story of the Magi found in Chapter 2 of Matthew is not a historical event, then it is not true. In that sense American Atheists are showing their epistemological kinship with Christian fundamentalists in that both groups believe in biblical literalism. This entry was posted in Sunday Reflections and tagged Bible, biblical literalism, Catholic, Christ, Cosmic Christ, Dawn Hutchings, Ephiphany, Gospel of Luke, Gospel of Matthew, Holy Cross Lutheran Church, Infancy Narratives, Jesuit, Jesus, literalism, Luke, Magi, Matthew, myth, mythic truths, Noosphere, Omega Point, Pierre Teilhard de Chardin, Pope Benedict, Pope Benedict XVI, Raymond Brown, Raymond E. Brown, Sunday Readings, Sunday Reflections, teilhard, teilhard de chardin, truth, Wise Men. Bookmark the permalink. Frank, thank you for the kind comments. I am not an expert in this area but I agree that it is possible that the story of the Magi believe to be a historical event. There is definitely biblical scholarship that supports this view and one of my favorite biblical scholars (Pope Benedict) believes it is substantially historical. If so, it would provide additional meaning to this great story. However, as you indicate, if it is not historical the meaning is not diminished. This is it in a nutshell, and anyone who is on the path comes up against this challenge of authorization – meaning, is my religion saving me by adherence to the law (however that gets defined), or, is my religion also a calling to experience God through prayer, reflection, love and grace and engaging others? Atheists are not the only ones who experience the world as dead. It is the current cosmological climate, and even though I now experience the world as very much alive, yes including the rocks, there was a time when I once felt the loneliness that comes from living in a world perceived as dead, peering out longingly, into a world that returned only silence. I pray for others and continue to follow my calling – which is to offer up to others the possibility that we can experience aliveness in everything this world brings forth. Fundamentalism and atheism both offer us a literal world in which we do not have to ask the hard questions, or live in doubt, or be threatened by the power of creation, from God, as well as inside us and others. As the Magi offer their gifts, ever seeking to experience the “God among us,” so may we. Debra, thank you for the kind words. I love that quote by Pope Benedict and absolutely agree that the image portrayed by popular media (which is through the prism of the left-right political divide in the the U.S.) does not do justice to the complexity of his thought. In many ways, Pope Benedict has been one of the most radical of popes, from his very strong ecological theology (borrowing from the thought of Teilhard de Chardin) to his deep humility in resigning from the papacy. I love your poetic reflection about the world being alive. I have had similar feelings although I am at the beginning of my Jungian indivuation :-). An excellent article! So much to reflect on. Life takes on a different meaning when we can answer the above questions. Rosaliene, thank you for the kind comments. As I get older, I am learning that life is not so much in answering the big questions with definitiveness but in asking the right questions and being comfortable with the uncertainty that is part of being human. I am learning about the deep interconnection that binds all humanity and hope that I can do my small part to further these connections. An insightful reminder to keep searching, keep following that wonderful star of light that captivates us, keeps us in awe and in wonder. And also noteworthy, is the presence of Herod in our imperfect world. Discernment is constant but not static, so are we called to choose the light over and over again.